Add some vintage swagger to your walk with the Indian Chief Sword Cane and surprise your friends with its hidden feature. It has a 15 1/2” hidden blade that’s made of stainless steel and is accessed by unscrewing the handle from the shaft. 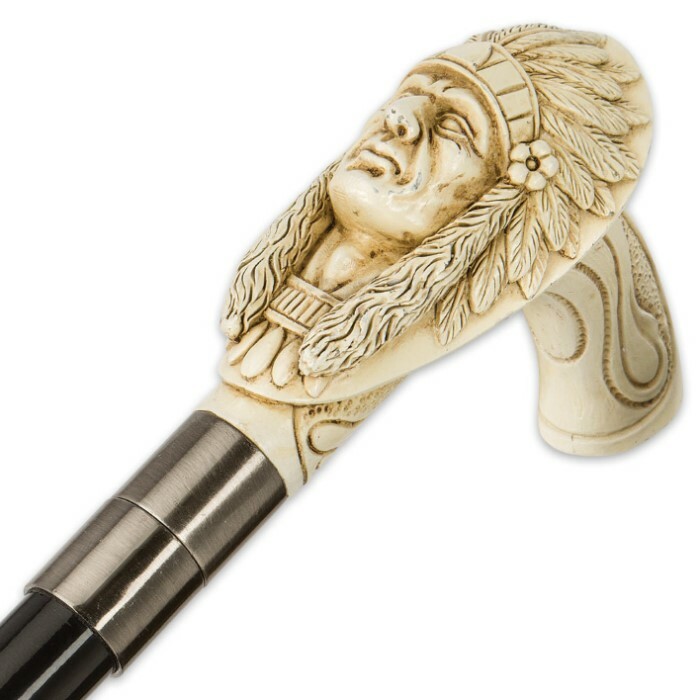 The intricate American Indian themed handle of this sword cane is expertly crafted of polyresin to look like real ivory and features detailed shading to give it an antique look. 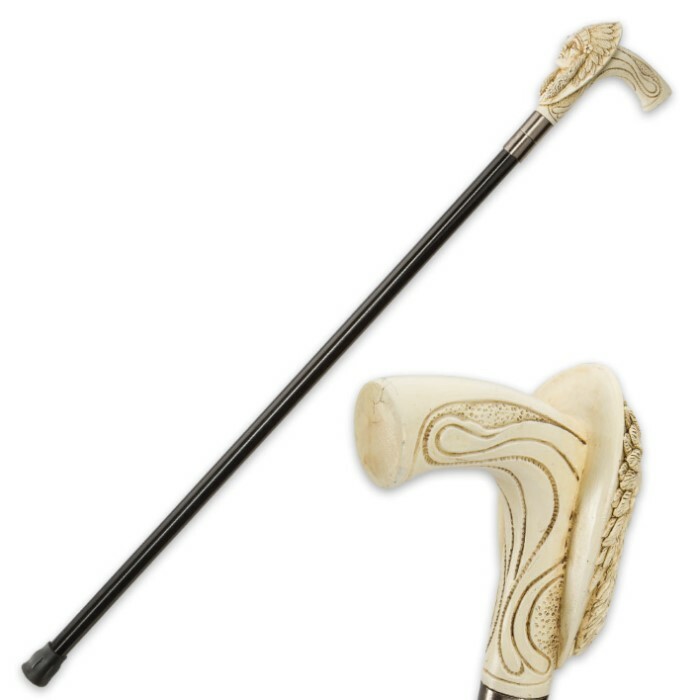 The black aluminum shaft has a rubber foot for a slip-free grip when using it. 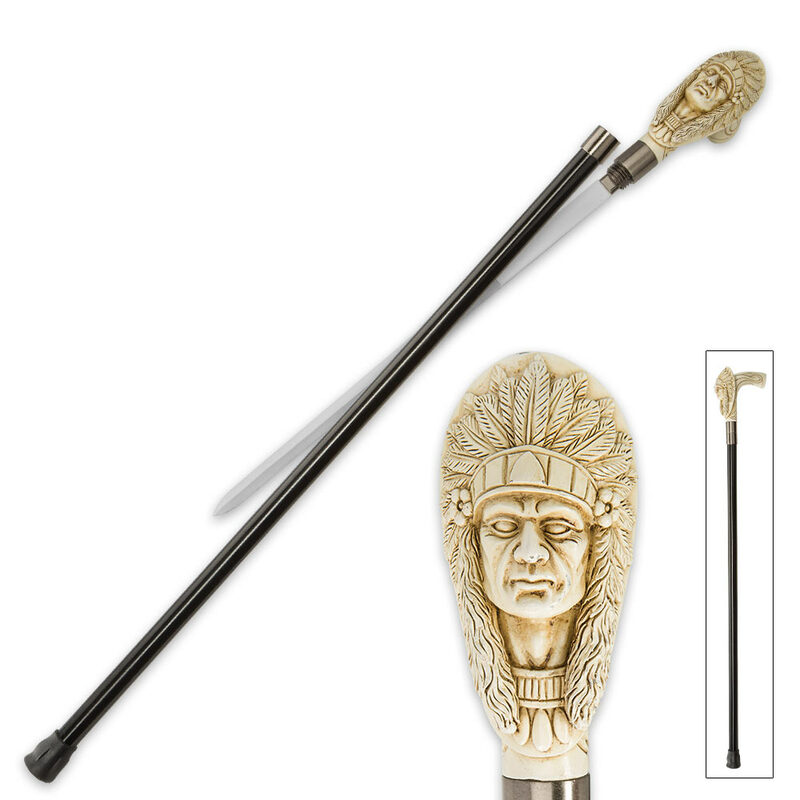 Our Indian Chief Sword Cane is sure to get attention! Blade is a little thin but everything else was perfect. My mom loved it.